How do you feel about Uldir's backstory coming almost exclusively from the Horde leveling experience? 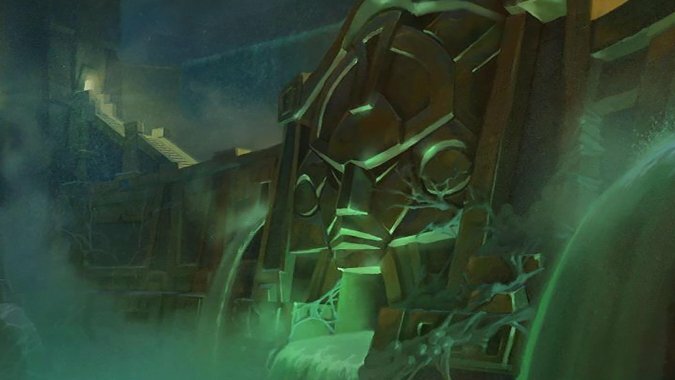 In dividing Battle for Azeroth’s leveling experience into faction-based continents, Blizzard created an interesting conundrum in how to introduce the expansion’s opening raid. They could have tied the raid into both factions’ stories at the risk of making it feel shoehorned in. They could have given us multiple raids, each tied to a faction’s story, with fewer bosses in each. Or they could have decided to give us a raid that ties in very well to one faction’s leveling experience — but leaves the other faction in the cold. Blizzard went with that last one. The result is that, as a Horde player, I feel like the raid is the culmination of three zones’ worth of stories and then some. It’s great! However, I can’t help but wonder how Alliance players feel about raiding Uldir. I mean, sure, Alliance players set up camps in the Horde zones, and Nazmir in particular gives them an idea of why the Blood Trolls are not the good guys. But do they know who Mythrax is or where it came from? Do they know why Zul is now “reborn” and not “The Prophet”? Personally, I’m a bit torn on this. I appreciate that Blizzard didn’t sacrifice good storytelling for the sake of plopping in Uldir references where they wouldn’t fit. Plus, we’re still killing bad guys who would ultimately hurt Azeroth, even if we don’t know exactly what their deal is. But it still feels odd to go from the Alliance’s leveling experience to… essentially finishing the Horde’s. Overall, I think I’m okay with it — but I would either like an Alliance equivalent next tier or a slightly strong tie-in made before the raid. But now I turn things to you. How do you feel about a raid’s backstory coming almost exclusively from one faction’s storylines? Are you the type who just murders things for loot and doesn’t care all that much about why? Or do you want a better explanation for why you’re raiding a certain place before you actually raid it? And would your feelings on Uldir change if the next raid were to follow an Alliance-specific storyline? I’d love to hear your thoughts on all this!